The Georgia State Parks, Recreation and Historic Sites Division are now offering free Site-Specific Junior Ranger Activity Books and badges at 59 different parks and historic sites. 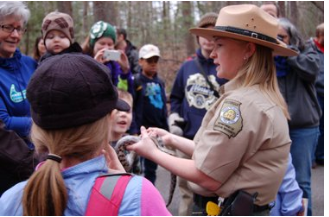 Visit the parks and historic sites to pick up your Junior Ranger book, explore the unique adventures, and learn more about history and nature. Visit the Georgia State Parks website for more details. Posted in State Parks, Uncategorized. Bookmark the permalink.